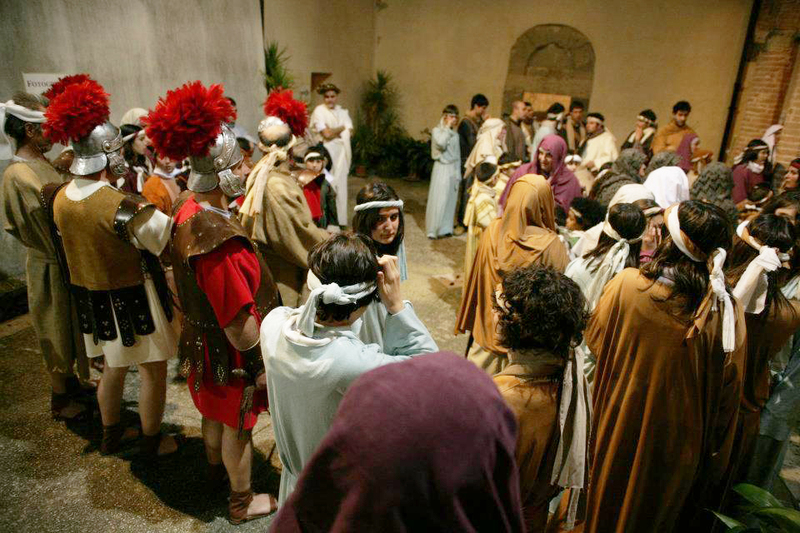 Every three years, Casole d’Elsa is cast beyond space and time and celebrates Good Friday with a historical procession. 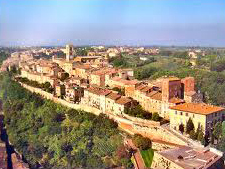 This lovely hilltop town in the province of Siena will, in fact, hold its next performance tomorrow evening at 9 pm. This ancient tradition was revived in 1992, when the parish priest of Casole discovered a number of objects hidden in one of the old cupboards of the collegiate. After a thorough research it was possible to reconstruct the ancient rite of the Good Friday Procession, whose last performance had been in the early ‘30s. 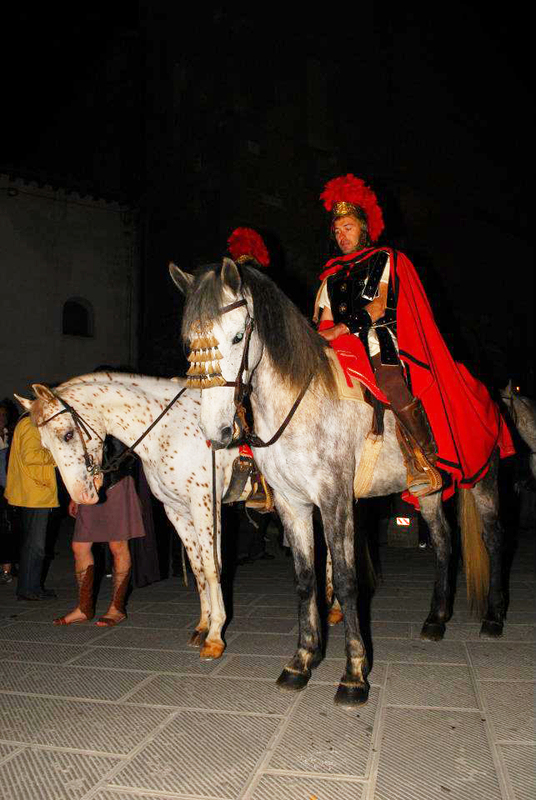 In ancient history the procession was a “parade of the Passion’s symbols”. Following a precise pattern, it opens with a legion of Roman soldiers on horseback, followed by lancers and Jews, while Simon of Cyrene carries the Holy Cross. Barabbas is preceded by a group of Jewish women together with Veronica, the woman who wiped the Christ’s face. Next come other prisoners, Pontius Pilate, the Roman senators and Caiaphas with the priests of the Sanhedrin. After Mary Magdalene and a host of other characters, the procession ends with the sacred image of the dead Redeemer. Following tradition, the procession silently meets up at the Cappella di San Pietro, interrupted only by the melodious singing of the town’s choir. The pattern of this tradition, lost in the mists of time, has remained the same. The success of this suggestive event is due both to the respect for the origins of this tradition and for its deeper meaning, as well as to the involvement of most of the population, willing to play the characters in their sumptuous costumes.